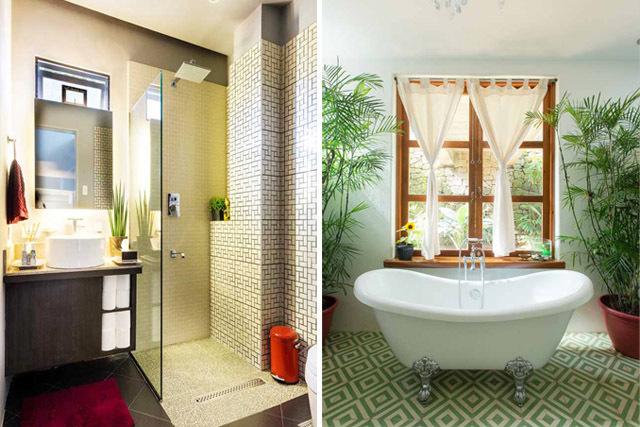 Can you choose between bathtubs vs. showers, flat vs. glass-front kitchen cabinets, duvets vs. comforters? Let this handy guide help you make the right choice. Before you make a decision, you have to know that a duvet is totally different from a comforter! A duvet is a soft, fiber- or down-filled flat bag that serves as an insert for a duvet cover. A comforter, on the other hand, is a fiber- or down-filled bedcover made out of a decorative fabric—it doesn’t need a cover as it is often sold as a set with a coordinating flat sheet and pillowcase. There are pros and cons for each bedcover: with a duvet, you can buy different duvet covers and change it according to the look you want for your bedroom. With comforters, you’re stuck with that style and color, until you buy another comforter; and the storage could get tricky if you live in a small space. So get a duvet if you change your bed linen and decorating look often, and buy a comforter if you want an easier time making your bed, and as much as possible buy a plain one in a neutral color. There are many benefits of glass-front cabinets: the look is charming and casual, and if you cook a lot, you can see what you need at a glance. 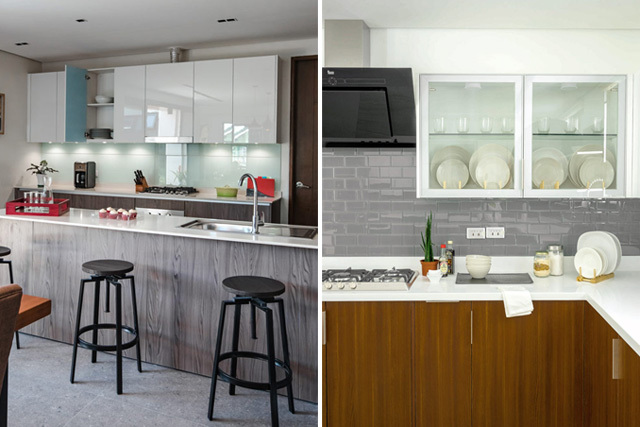 On the other hand, closed cabinets—especially when clad in a sleek laminate—have a more modern and streamlined look. The only caveat in using glass-front cabinets is that you have to keep your dishes and gadgets arranged in an orderly, ready-for-display fashion at all times. So if you use your cabinets to store old appliances, mismatched sets, and unsightly canned goods, choose flat-door cabinets. 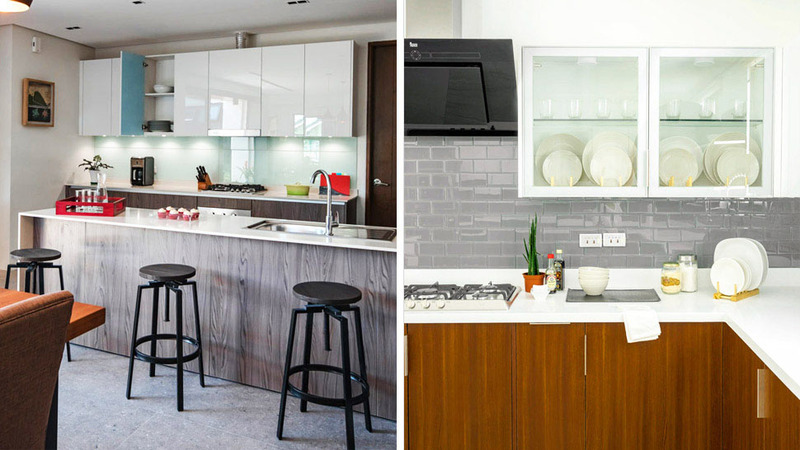 Now if you still want glass-front cabinets, try using those with frosted or textured glass to partially hide the kalat inside. Bathtubs are always associated with luxury as it allows you to take a soothing, relaxing soak in a private environment. But with that luxury comes a few limitations, which include extra room to install it in, plus it takes longer (and it takes more water) to fill a tub. Another thing to consider is that some tubs (especially deep ones without railings) are difficult for elderly people to get in and out of. Showers are more convenient, as a shower is the quickest way to get clean, uses up less water, and a shower tray takes up little space, making it the best option for small homes like condo units. But if you have the extra space (and the extra time and energy to fill it up), then go for the tub. To help you decide between showers and tubs, click here. A gas stove is more cost-efficient in the long run, as propane and natural gas are relatively inexpensive. A gas stove is also easy to use in terms of temperature control. “The temperature control is pretty straightforward—low heat means low flame, and high heat means high flame,” says cook-turned-photographer Hans Fausto. However, some of the cons of having a gas stove are difficulty in cleaning the burners’ multiple parts, the fact that you have to change the gas tank when it runs out, and an open flame is a bit of a risk. Electric stoves, on the other hand, are more convenient as you don’t have to buy any more gas tanks, and all you have do is plug it in. The only downside, however, is that it takes a bit of time for the electric burners to heat up. 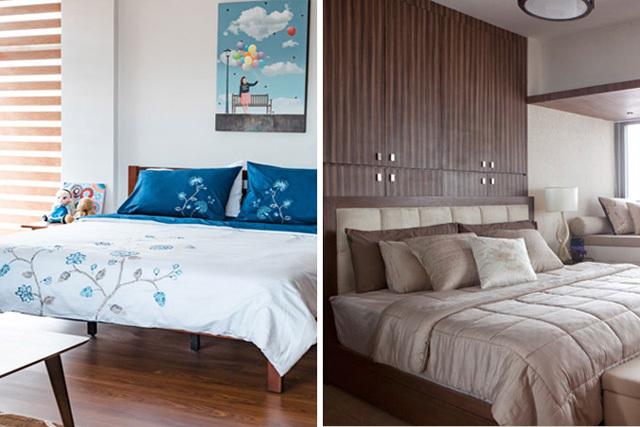 Do you live in a condo unit or small apartment? Then go for the electric option—some condominium associations discourage the use of gas stoves. Do you want an easier cleanup and better cooking performance? Invest in an induction or ceramic cooktop instead. 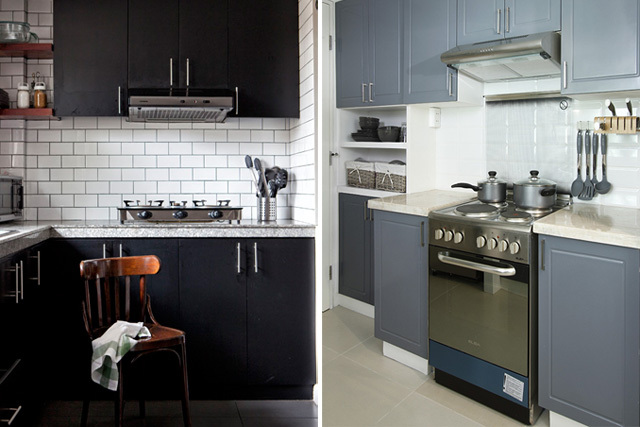 To see more stove examples and learn about their pros and cons, click here.